Leading Australian soft adventure company, Active Travel, is marking the launch of its biggest-ever program of Antarctica voyages for the 2015-16 summer by offering AU$1500 per couple for bookings made before February 27, 2015. The program from October, 2015, to March, 2016, features a mix of new fly-cruise itineraries designed to meet a growing demand from Australians keen to experience the great white continent. Active Travel offers one of the most extensive range of Antarctica adventures available to Australians in partnership with long-standing polar travel specialists, One Ocean Expeditions, which Active Travel pioneered in the Australian market in 2008. Active Travel also includes free hire of polar gear for its Antarctica-bound customers, saving passengers more than $1000 each. * An 11-day ‘Antarctic Peninsula Explorer and the Falklands’ tour, including a flight from Punta Arenas to Port Stanley in the Falklands, followed by a 10-night cruise along the Antarctic Peninsula and then a two-hour flight from the South Shetland Islands back to Punta Arenas. The package is priced from US$9795 per person, triple share, or form US$11,795 twin-share. Departures from Punta Arenas are on December 19, 2015, and January 9, February 13 and March 7 in 2016. * A 12-day ‘Ultimate Antarctica’ tour that begins with a flight from Punta Arenas to the South Shetland Islands, followed by an 11-night cruise to the Falklands via the Antarctic Peninsula and ending with a flight from Port Stanley back to Punta Arenas. Departing Punta Arenas on December 8 and 29, 2015, and January 19 and February 23 in 2016, the package is available from US$10,045 triple-share, or from US$12,045 twin-share, including the two air transfers. * A 15-day ‘South Georgia in Depth’ package including one flight – from Punta Arenas to the Falklands - with passengers then spending 14 nights at sea, including eight days exploring the snow-capped peaks, stunning fjords and wildlife-rich shores of South Georgia Island, famous for its massive colonies of King penguins and elephant seals which jostle for space on the foreshore. The voyage, which ends in Ushuaia, Argentina, is available from US$10,145 triple-share and from US$11,245 twin-share, including the flight transfer. One departure is available on October 17, 2015. Two Falkland Island-based cruises can also be joined to make an extensive, new 22-day ‘Antarctica in Depth’ combo tour that highlights the sub Antarctic Islands as well as the continent itself, making this one of the longest and most comprehensive cruises ever, with an unprecedented 16 days spent exploring Antarctica and the sub-Antarctic islands. Departing Chile on December 19, 2015, the combo tour begins and ends with flights between Punta Arenas and the Falklands and includes a ‘white’ Christmas and New Year in Antarctica, with almost 24-hour daylight. Aboard the Russian, ice-strengthened ship, Akademik Sergey Vavilov, the itinerary in Antarctica includes walks ashore with naturalist guides, visits to historic huts, cruising in zodiac boats to view spectacular icebergs and witnessing an abundance of wildlife species including seals, whales and penguins. The 22-day package is available from US$20,390 per person, triple share, or from US$24,790, per person, twin-share. In 2015-16, Active Travel will also offer its biggest-ever range of pre and post-cruise add-on trips to South American destinations such as Patagonia. Iguassu Falls, Rio de Janeiro, Peru and the Galapagos Islands. Antarctica bookings made by February 27, 2015, will receive a flight credit of AU$750 per person, to be used towards international flights to South America booked in conjunction with the cruise through Active Travel.All Antarctica cruises are aboard the Akademik Sergey Vavilov and sister ship Akademik Ioffe. Pre/post cruise touring around South America can also booked through Active Travel. 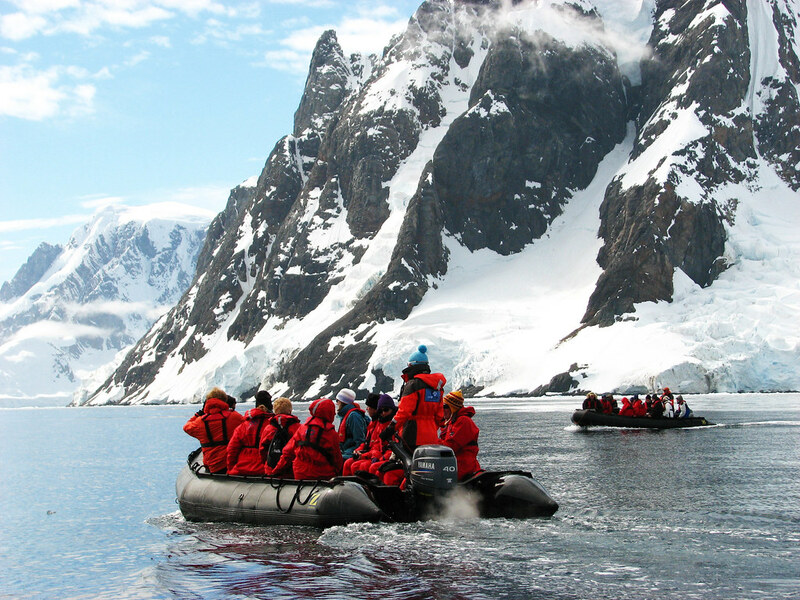 For details of the Antarctica packages, visit www.activetravel.com.au or call 1300 783 188. Q. What is new for Active Travel’s Antarctica program for 2015-16? Robert Fletcher: In 2015-16 we will offer our biggest-ever Antarctica program including itineraries where our guests fly across the Drake Passage instead of sail across it, saving days of travel and creating shorter tours but with more time spent in Antarctica. The connecting flights also offer great views of the scenery. We will also be offering our most extensive range ever of add-on packages to other destinations across South America such as Patagonia. We find most Australians who travel all the way to Chile to join an Antarctica cruise are also keen to see more of the continent while they are there. Q. Why is Antarctica growing in appeal for Australians? A. Having been to Antarctica, this is one of the world’s last great wilderness areas. It’s unspoiled, majestic, at the bottom of the world and brimming with amazing wildlife. It’s a complete sensory overload – a powerful and moving experience that leaves an indelible impression on every visitor. In Antarctica, you can completely escape to an alien world, disconnect from wi-fi and enjoy your own special time to engage with nature and in conversation with your partner, fellow passengers or the friendly crew onboard. Q. When is the best time to visit Antarctica? A. Early in summer, penguin rookeries are very busy with lots of hatchlings and late in summer, whales are more playful. Around the summer solstice at Christmas time, you also get days with the longest daylight. Almost 24 hours of daylight means you can fit in more early morning and after-dinner excursions ashore. In reality no part of the season is ‘better’ than the other; they are different. A. Our team boasts extensive, first-hand experience of Antarctica, so we know the product well and can answer customers’ questions and offer practical advice. Active Travel also includes the cost of polar gear use in our fares, saving a visitor to Antarctica over $1000. Australians just don’t have this type of cold climate gear in their wardrobe so we include the hire, which also saves precious luggage space. 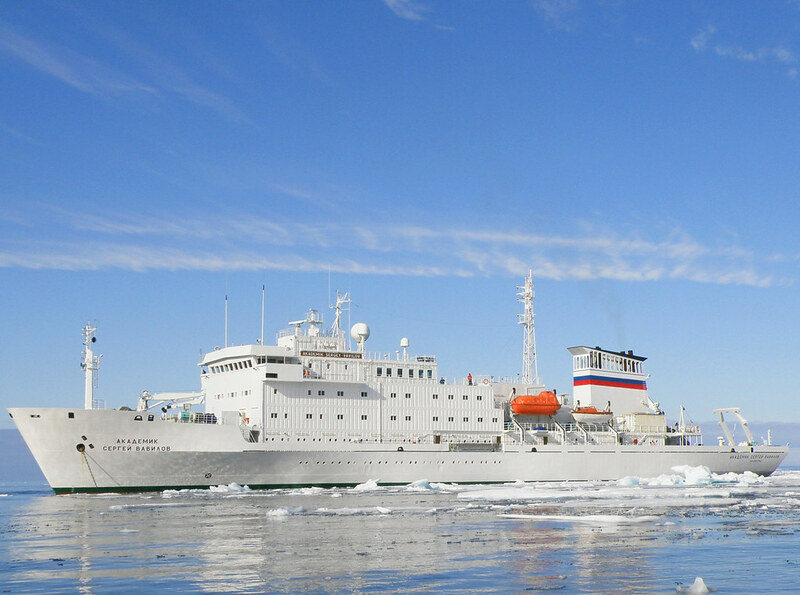 We also use former Russian scientific ships which are ice-strengthened and purpose built for the polar regions and are also very stable and comfortable. Our group maximum is as low as just 70 passengers on some voyages so our guests enjoy more attention and space onboard. Q. What tips do you have for travel to Antarctica? A. Deception Island is a favourite of mine for wildlife and scenery but everywhere you go in Antarctica there is something amazing to see and photograph. On that score, it’s worth investing in a reasonable camera and getting some tips on photography before your trip so you can capture wonderful and lasting memories. Also bring your swimming costume as the ship has a sauna and plunge pool and there is often also the opportunity for a quick but unforgettable dip off the shore in Antarctica –just so you can say you did it! My other tip is not to leave Antarctica on your bucket list forever or you will never get there. It’s just too special to miss. There is no time like now! Q. What about seas sickness? A. The Drake Passage can be totally flat one day and not the next but our ships have the best stabilisation system of any thus reducing the motion as much as possible. During high seas, anyone feeling the effects of motion sickness are well looked after by the crew. Of course our new fly-cruise itineraries for 2015-16 minimise ocean crossings and therefore the chance of seasickness. Q. Do you have to be young and fit to visit Antarctica? A. Definitely not. All you need is a sense of adventure, a love for nature and a yen for exploration. You can be in a wheelchair and see amazing scenery and wildlife from the deck. And if you can get onto the bed and get out the other side, you are able to easily get into the ship’s zodiacs for trips ashore. A. Antarctica is definitely attracting a lot more Australians and visitors generally. But there is no loss of the feeling of being in a wilderness region as it is rare to see another ship. On my last trip, all I saw was a sailing ship nestling in a cove, and I saw dozens of whales. The cruise ships keep in touch with each to ensure they don’t encroach on each other’s routes. Antarctica is so big and there is plenty of space for everyone. In the future, with better landing capabilities in Antarctica, we could see more fly in and fly out packages offered but the best scenery and wildlife – and also the incredible sight of huge icebergs - can be found on the coastal fringes of the continent which is why cruises are the best way to go in my opinion. Visit www.activetravel.com.au or call 1300 783 188. What's been happening in expedition cruising?